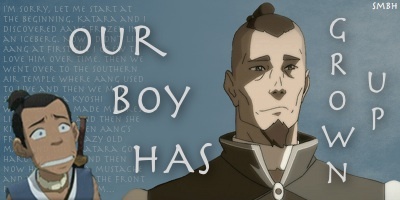 One thing I like about the Korra/Tahno tie breaker is that Tahno just stood there at first. On 105 in their confrontation in the restaurant he said he would let her have the first shot. 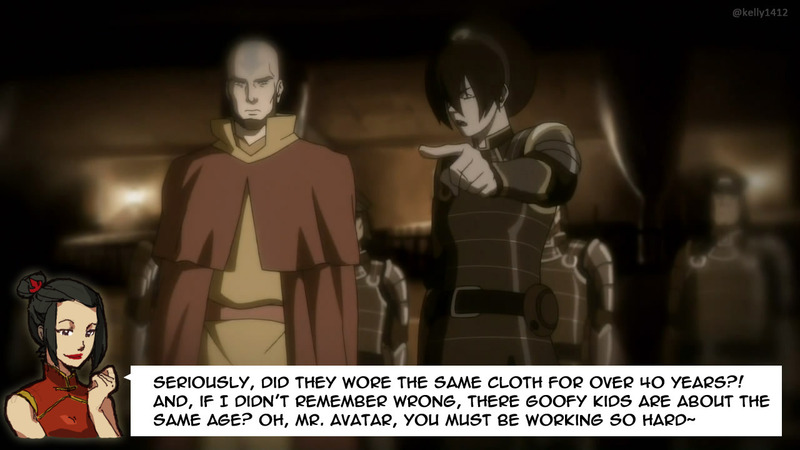 Aang, Iroh, Mako, and Lin FTW! Did anybody notice that when Korra was fighting Lieutenant on top of the stadium, she was using Airbending techniques to dodge his attacks. Ok so after just now watching this part of 106 again, Amon states that the council keeping the Pro-Bending Arena open was "everything('s) going according to plan." So. Like. Did he KNOW they were going to defy him or did he just expect it? And if them defying him and keeping it open was everything going according to plan, what exactly would've been his backup had they not kept it open? It almost seems as if he would've been surprised had they really kept it closed. If they would have closed the arena, they would have given more moral support to the Equalists. They will be considered a factor of political power and fear. The same would have probably eventually happened, only on a slower pace. 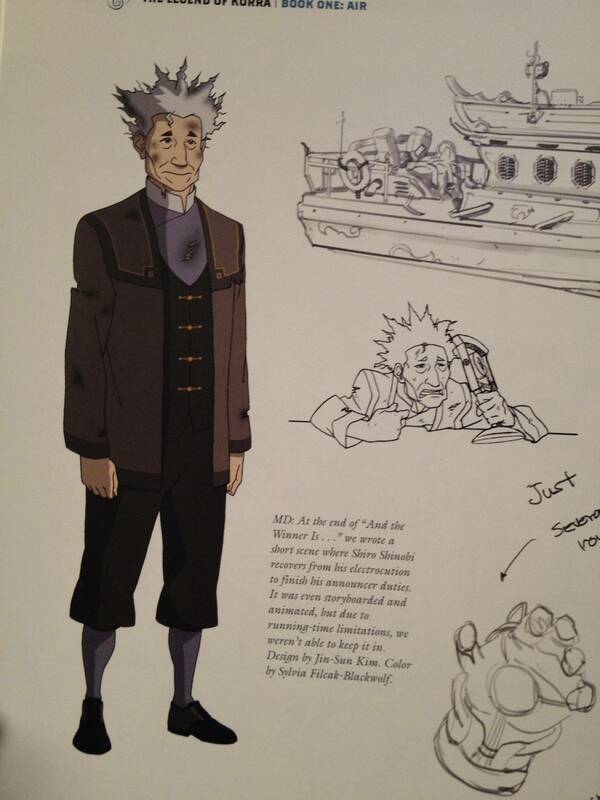 He expected Korra to appeal to the council and figured they'd cave in somehow. ^ Ah man. Totally should have shown us if the animation was completed. Maybe it's in the DVD extras. I like rewatching this episode. When Amon shouts "The revolution has begun!" and the Erhu (I think?) starts playing, sjeez, shivvers of overwhelming awesome. Indeed, that is one of the best fights and this is one of the best episodes, in my opinion. Yeah, Amon's attack on the arena is probably one of my favorite scenes in LoK. It is terrific. And it is Amon's first direct strike against benders. Amon sure knows how to put on a show. I loved this episode. When I first saw it, I became hooked in the show. Though I also feel as if this is where the show started to take a turn south. I did not noticed at the time, but starting this episode, the season became less character focused. You can observe this in the dialogue, the various characters just became pieces that said and do stuff that made the plot move forward. They ceased being distinct. I was also dissappointed that we didn't see Korra progress much from her vulnerable condition after episode four. I mean she is back to normal, but why or how? Anyway I love Tenzin and Lin, they are my favorite characters and I greatly appreciate moments where they interact, especially as tenderly as this episode. Lastly, the episode had some cool fights.